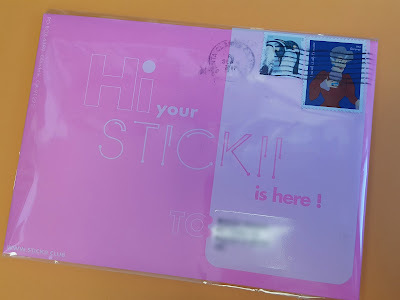 What: Stickii Club is a sticker subscription that sends an envelope of Cute, Retro or Pop themed stickers every month (you choose which category when you sign up). This review is for the Cute pack. Over the past few years I've rekindled my love for holiday decor (yes, stickers count!). In the beginning it was just Christmas, but now I find myself hitting up the dollar spot for other holidays as well. And with October just around the corner I'm on the lookout for Halloween decorations. Not the ghoulish, grotesque kind, but I'm talking about the cute ghosts and goblins that couldn't be scary if they tried. (Like Big Boo from Mario Bros.) And thankfully, cutesy Halloween decor is becoming increasingly popular so the options are practically endless. 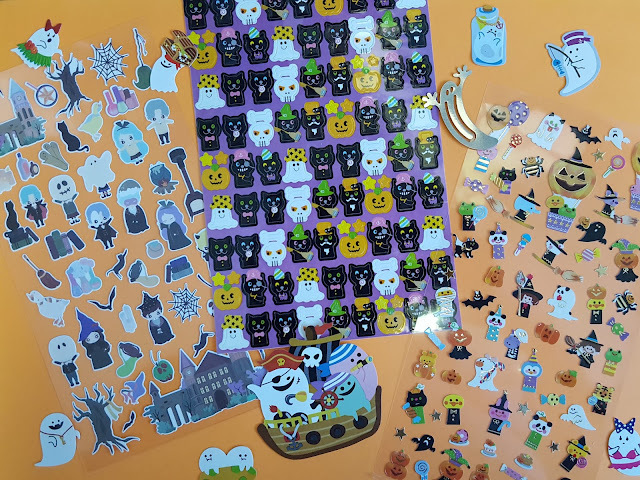 I was just browsing through a crafting catalog the other day drooling over the huge selection of Halloween stamps and dies, debating whether to pick any up for Halloween cards. Good thing I didn't, because what good would those have been now that Stickii has sent me a bunch of stickers right here at my disposal? These are the rest of the October sticker pack contents. 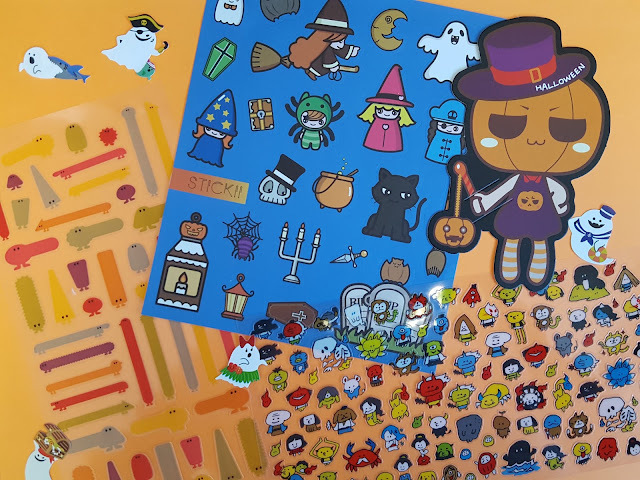 The blue sticker sheet in the middle was created by Stickii Club and it's my favorite of the bunch! These guys really know what cute is, and every single sticker on here is adorable. Even the cauldron. I didn't even know a cauldron could look cute. But draw in a few bubbles and *BAM* instant cuteness. I'm not totally sure what the stickers on the left are or what they have to do with Halloween, but it's proof that if you want something to look cute, just add eyeballs. ;) I'll probably end up using them as planner flags. 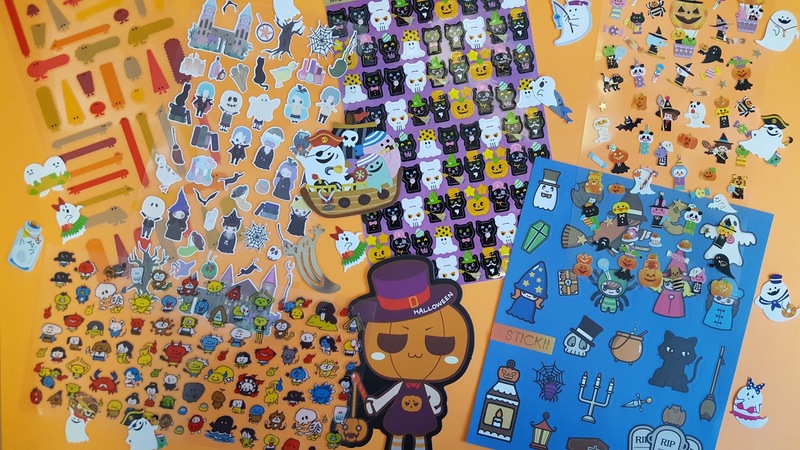 I'm so happy with these Halloween stickers! I forgot to mention it above, but those ghost flakes in the photos above would put a hilarious finishing touch on any card or note. I mean everybody's seen a ghost holding a pumpkin before, but have you ever seen one stealing treasure? Or stuck in a bottle? 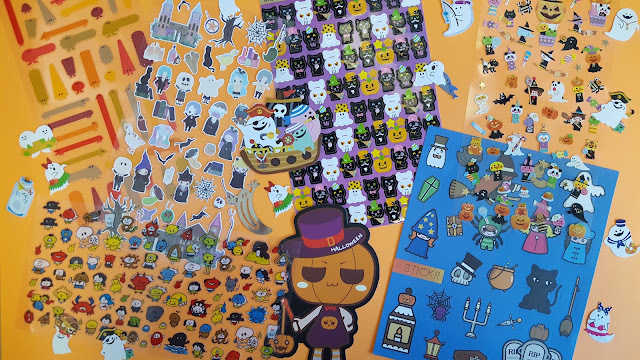 Stickii has a knack for finding the best stickers to fit a theme, and this month was no exception. Click here to sign up for October's sticker pack!